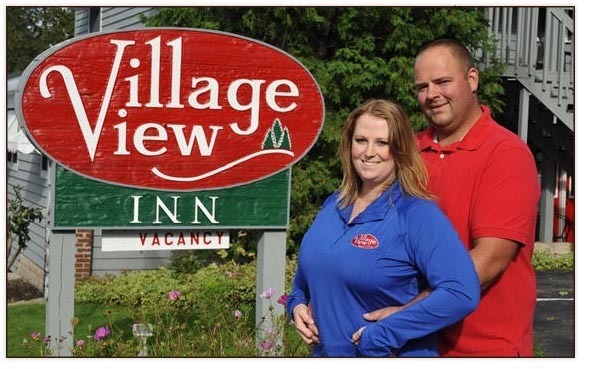 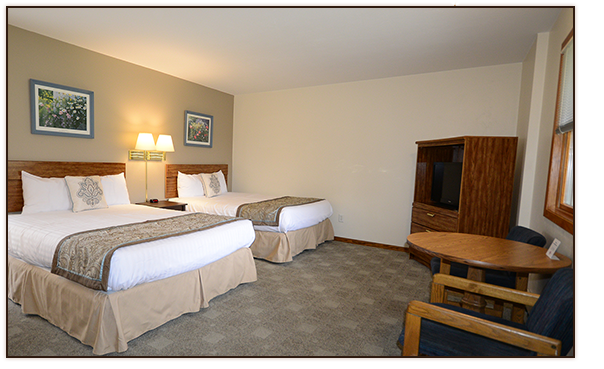 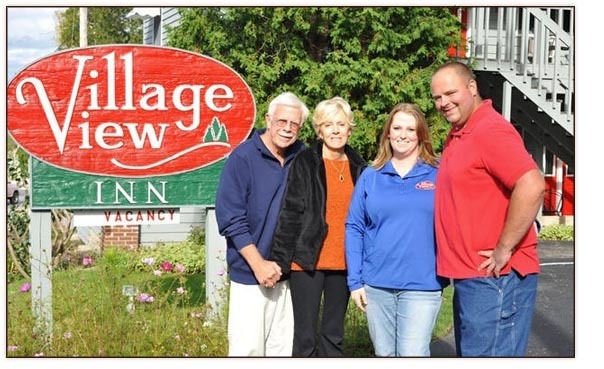 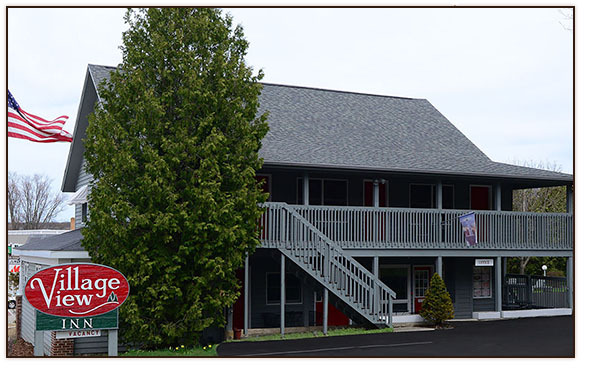 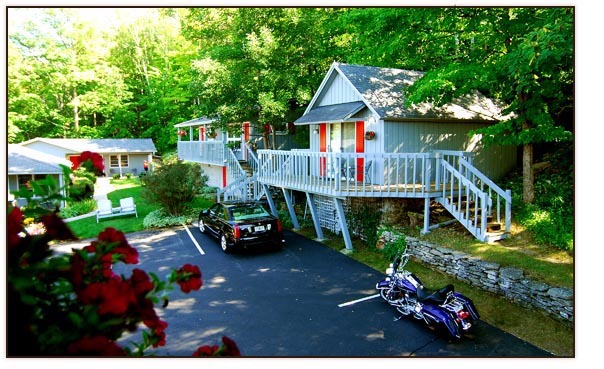 The Village View Inn is located in the heart of Door County in the Village of Sister Bay. 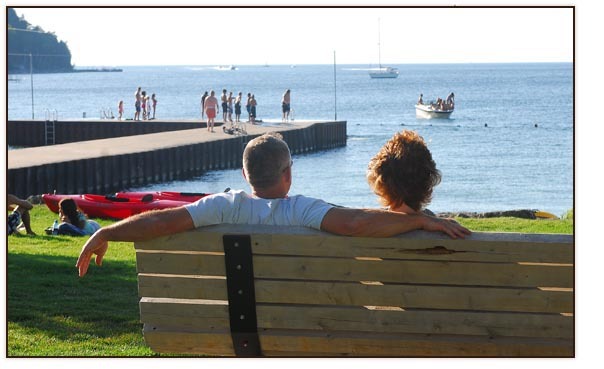 A myriad of unique shops, galleries and restaurants - as well as the village marina and waterfront park with sand beach are within walking distance of this affordable village location. 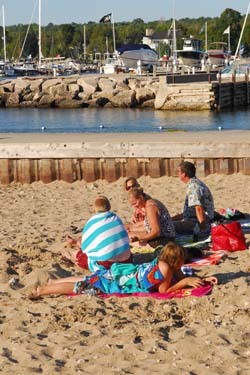 Eighteen rooms in six buildings are nestled on a landscaped and wooded acre in "downtown" Sister Bay. 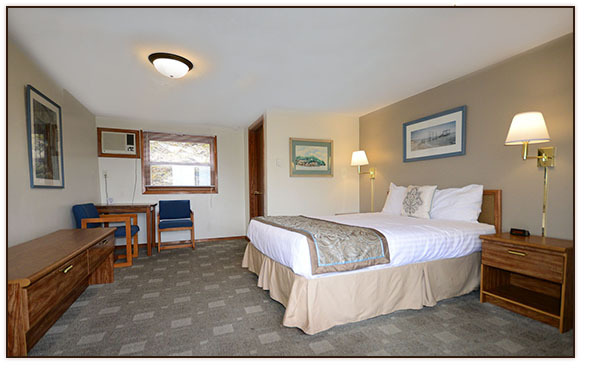 Rooms at the Village View are reasonably priced, comfortably furnished, CLEAN, and have air conditioning, FREE W-Fi, refrigerators and cable TV. 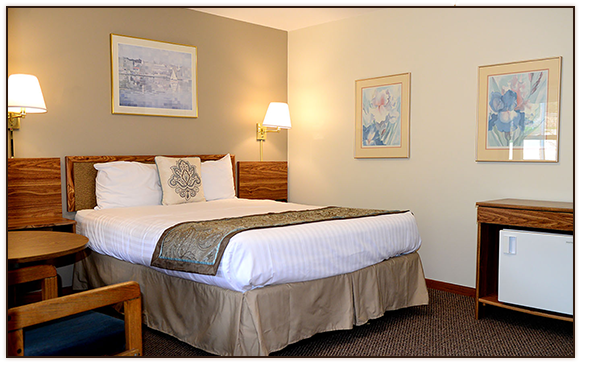 Complimentary coffee and pastries.